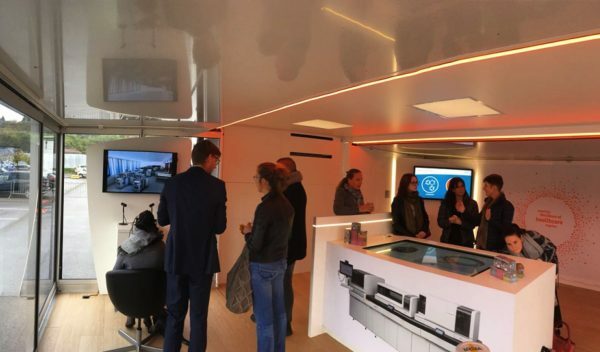 What do you do when you want to introduce hospital employees to a new top of the range machine, but you don't want to mess with their busy schedules too much? 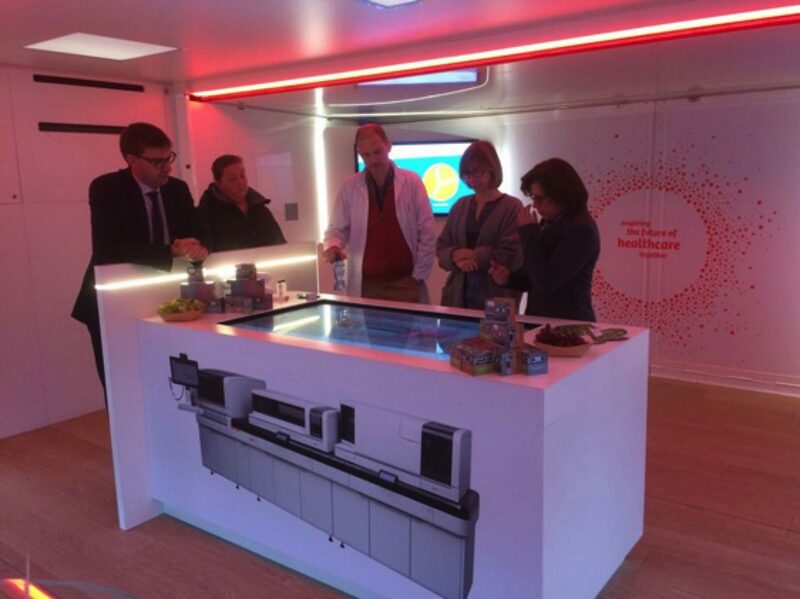 You bring the entire laboratory, including the new device, to them. 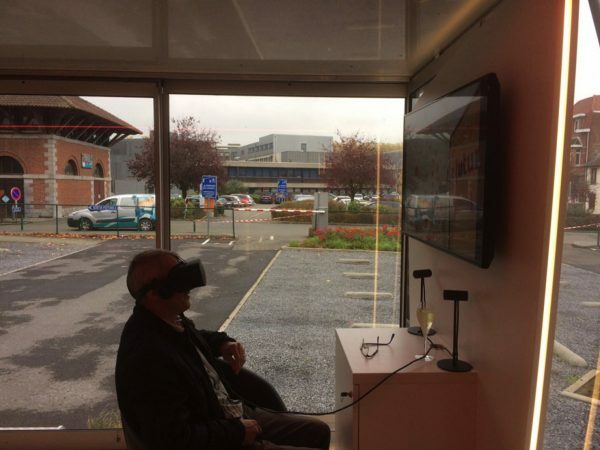 And that is exactly what Siemens Healthineers and Fast Forward did, albeit in Virtual Reality, with a mobile information stand. 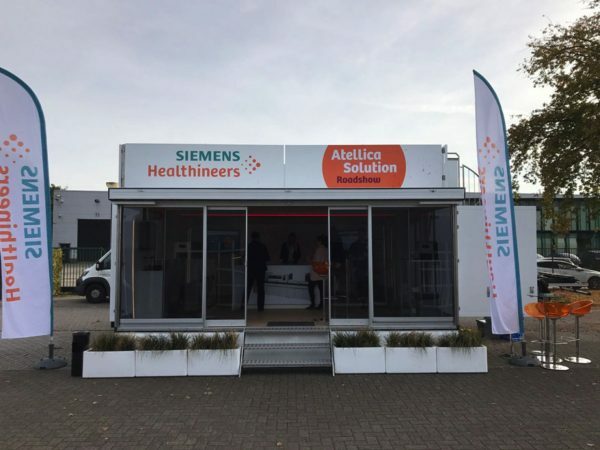 "It turned into a genuine roadshow to promote Siemens Healthineers’ latest blood analysis innovation, the Atellica Solution. 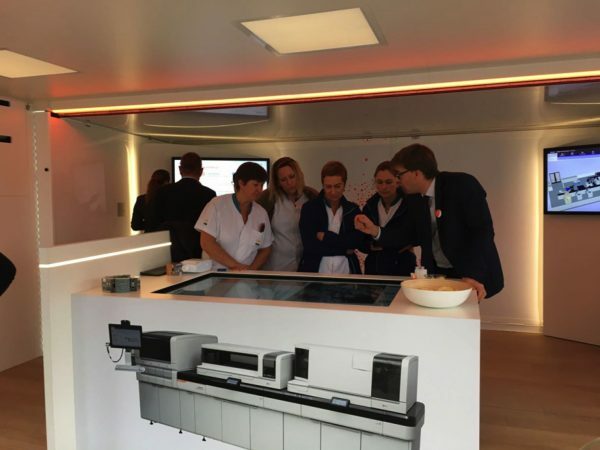 Fast Forward built a mobile showroom in which hospital employees were given a digital tour of the laboratory with Virtual Reality goggles where they could see the new device in all its glory. 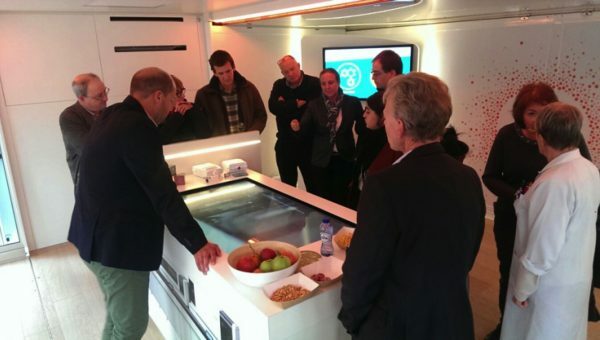 On the touch table they were introduced to all the machine's features, and two screens showed what the new blood results would look like. 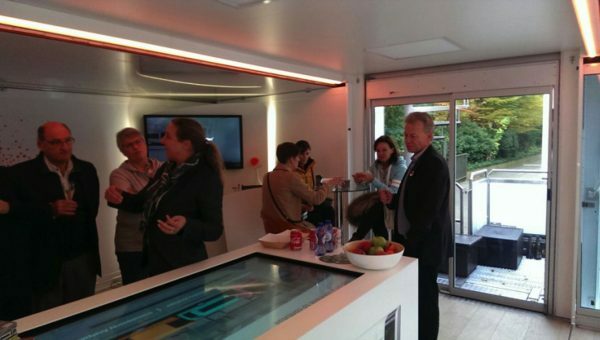 The mobile showroom was parked outside various hospitals, to introduce as many as 500 people to the new technology. 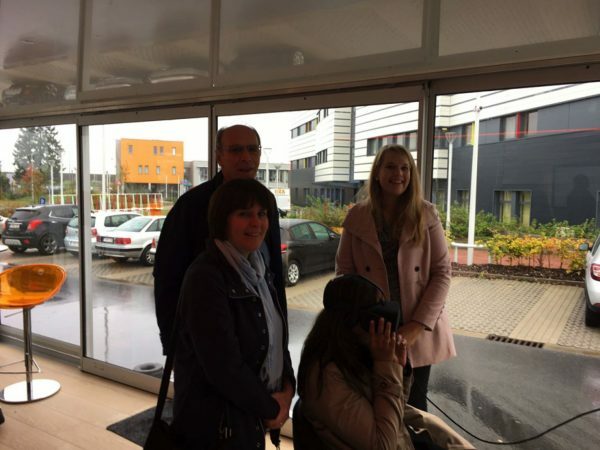 Guests were given a sneak preview, because we added the VR-film to the invitation so they could have a look around the digital laboratory already. 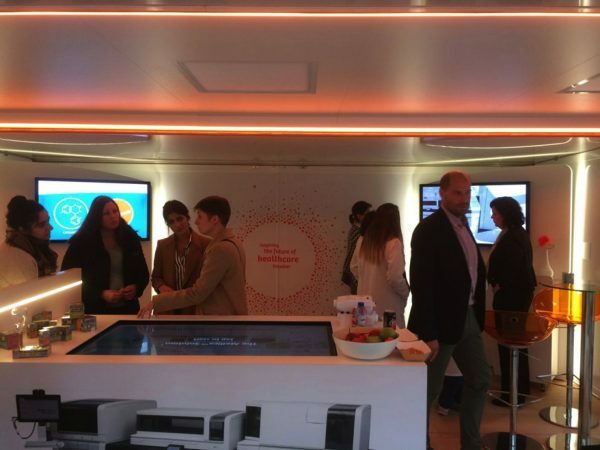 This invitation was part of the all-round communication campaign around this project."